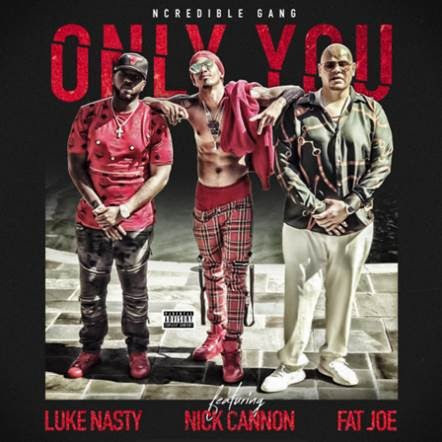 Nick Cannon’s Ncredible Gang unveils a new single entitled “Only You” [feat. Fat Joe & DJ Luke Nasty] today. It’s available at all digital retailers via Ncredible Gang. Get it HERE. Additionally, Ncredible Gang dropped the star-studded music video for the song. Capturing the spirit of classic throwback nineties videos. For the larger-than-life track and clip, Cannon assembled one of the hottest casts in the game—Fat Joe & DJ Luke Nasty. It’s a banger of epic proportions and hints at even bigger things to come! Be on the lookout for more big news from Ncredible Gang very soon.